The structure that now houses ACME Feed & Seed was built in 1890 by local architect J.R. Whitmore who originally rented the building to brothers Frederic and William Cummins. They opened the space as a grocery store. In the following years, this building was home to various companies including Southern Soda Works, Ford Flour Co., and Bearden Buggy. In 1913, the Bearden Buggy company added an industrial-size wooden elevator to the structure. 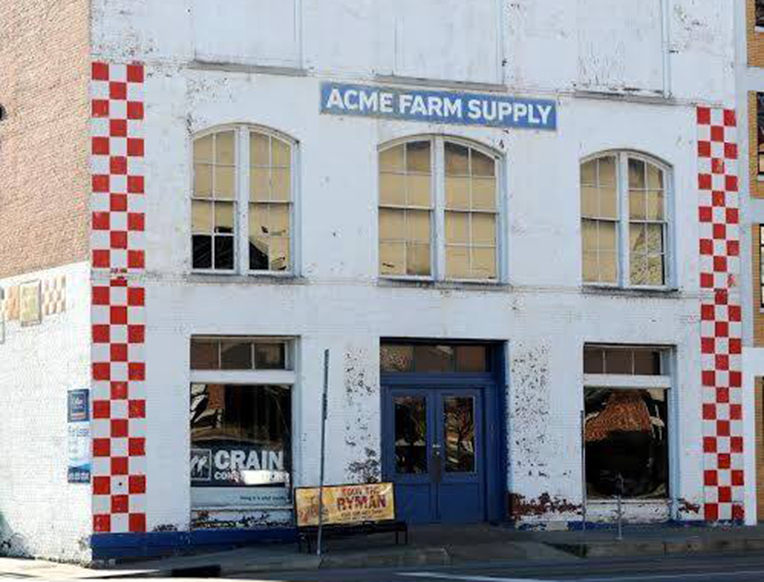 After another thirty years of mixed use by local stores and storage companies, Currey L. Turner rented the building in 1943 and opened Acme Feed and Hatchery. The store sold straw, feed, wire, tools, and other supplies needed on local farms. In 1980, Turner, and then his son Lester, operated the store until 1999. Thereafter, the structure remained vacant until 2013 when Tom Morales and several other investors, including famous country music star Alan Jackson, leased the building to open Acme Feed & Seed Bar. It is now open as a historical place and famous entertainment spot. Nathan Ledford, “ACME Feed & Seed,” Bygone Nashville, accessed April 25, 2019, https://bygone-nashville.mtsu.edu/items/show/31. Vienneau, Nancy. "ACME Feed & Seed Mixes Old, New." The Tennessean, Oct 22, 2014. https://ezproxy.mtsu.edu:3443/login?url=https://search.proquest.com/docview/1803523104?accountid=4886. Bernard, Bush. "Acme building ready to rent ." Nashville Business Journal , May 07, 2000. May 07, 2000. Accessed November 29, 2017. https://www.bizjournals.com/nashville/stories/2000/05/08/story1.html?page=all. Published on Dec 4, 2017. Last updated on Dec 6, 2017.